A revolutionary kinetic movement control that works with most known 3 axis stabilizers. 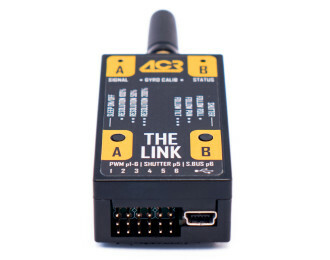 The Link is a set of receiver and transmitter modules, a complete wireless Remote Follow Mode solution (Double The Link). You can pair one of The Link with any gear and control second The Link, that is attached to your stabilizer. For checking range, connection status, current mode. The Link Tutorials. Brief overview on ACR The Link features. The Link – universal kinetic movement control. 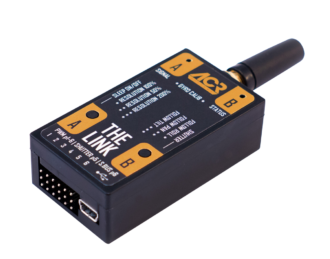 The Link system allows your camera for intuitive real-time movements. No complex configuration is required as usual with classic RC devices. The stabilizer just points where you want it to point – all depends on your arms position. You will need for proper use of The Link a USB powerbank / battery – this is not included in the Link package. A wireless video transmission system and video monitor could be also needed. I have connected The Link to The Beast gimbal and it does not move like on the tutorial video. Make sure that you set all necessary options. In The Beast CONTROL menu you need to toggle The Link ON, set Roll, Tilt and Pan axis speed to 100%, set filter to 6,2%, deadband to 3% and expo rate to 0%. How can I access The Link menu? To enter The Link menu you need to hold both buttons A and B for 2 seconds. After that both diodes will blink green for 2 seconds as confirmation and will start to flash in sequence Red-Orange-Green-Orange-Red to let you know that you're now in the menu. 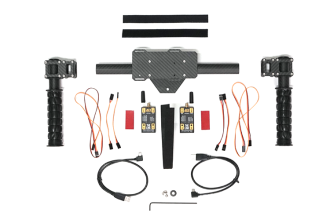 I have connected The Link to DJI Ronin and my gimbal does not respond to any movement I make with the host unit. Why? Remember that you need to select DJI Ronin profile in The Link menu to be able to control DJI Ronin. DJI Ronin pan axis bounces from left to right when any faster move. Make sure that you set all necessary options in DJI Assistant. Also increase stiffness value for pan axis.